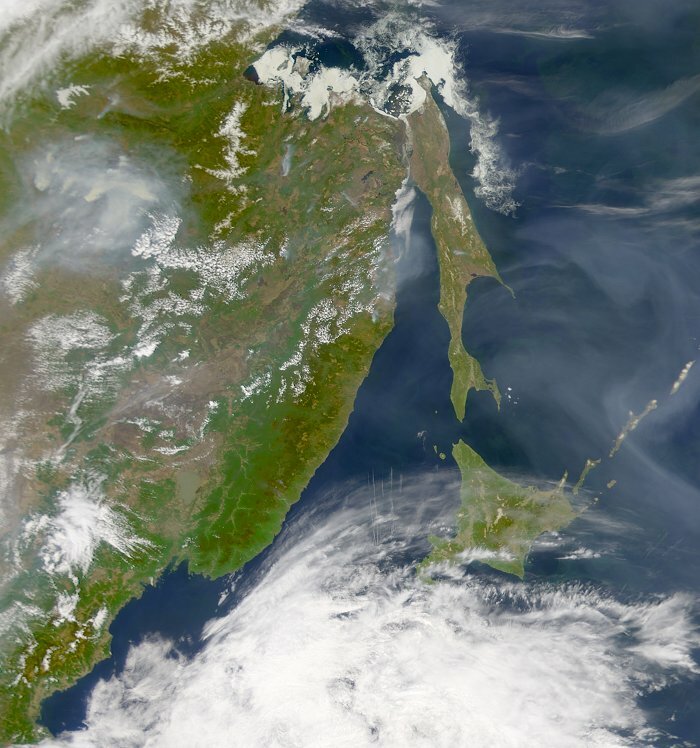 Extensive forest fires in Eastern Russia have been sending large volumes of smoke into the atmosphere over the Sea of Okhotsk and Kamchatka Peninsula. The smoke (greyish pixels) is easy to see in this SeaWiFS image against the relatively dark background of the northwestern Pacific Ocean. The smoke pall covered about 6 million square kilometers (about two million square miles) of sea surface on May 17 and 18, 2002. One of the source areas for the smoke is visible as a large, off-white cloud near the center left side of the May 17 scene. In the clear air between the smoke and clouds (brighter white pixels), a colorful phytoplankton bloom (dark green pixels) can be seen. 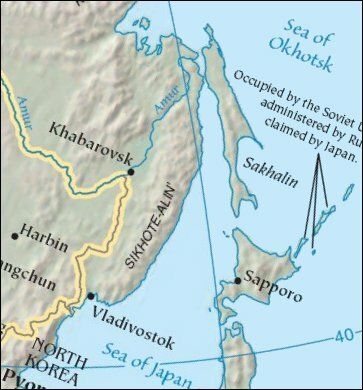 This image also shows the "Southern Kurils" which have been occupied by the Soviet Union in 1945 (now administered by Russia, and claimed by Japan). They remain the primary sticking point to signing a peace treaty formally ending World War II hostilities.